At least 10 people were reported killed on Sunday, March 12 after suicide bombers detonated a car bomb at the gates of St. Finbar’s Roman Catholic Church in Jos, Nigeria. The attack is thought to be the work of the Islamist militant group Boko Haram and is just the latest in a series of attacks by the group on Christians in Nigeria. On Sunday, February 26, Boko Haram took credit for a similar attack on the grounds of the Church of Christ headquarters in Jos, which killed two women and an 18-month-old child and injured around 50 people. Boko Haram published an ultimatum in a newspaper on Tuesday, January 3, threatening violence if Christians did not leave predominantly Muslim northern Nigeria in three days. In the days following, the group claimed responsibility for killing at least 44 people in four states. On November 4, 2011, more than 200 members of Boko Haram stormed the Yobe state capital, Damaturu. They attacked the police headquarters, killing all the officers on duty; broke into and robbed two banks; bombed other police stations, an army base and 10 churches; and went on a four-hour rampage, killing 150 people, at least 130 of them Christians, according to church sources. On August 26, 2011, Boko Haram attacked the United Nations headquarters in the Nigerian capital of Abuja, killing 18 people. A statement from Boko Haram asserted that the reason for the attack was that Western influence is supporting the Nigerian government in persecuting Muslims. The attack was condemned by government leaders around the world, including Canada’s Minister of Foreign Affairs, John Baird. Altogether Boko Haram has killed over 300 people in 2012 and around 1,000 people since its campaign began in 2009. As well as attacking Christians, the group targets police, security forces and politicians, and also Muslim leaders who oppose its agenda. On Tuesday, March 6, the same spokesman told Bikya Masr that the group plans to “strike fear into the Christians of the power of Islam by kidnapping their women.” The women would be returned if their families agree to leave the area. The official name of Boko Haram is People Committed to the Propagation of the Prophet’s Teachings and Jihad, but local residents have called it Boko Haram, which means “Western education is forbidden” in the Hausa language. It was founded about 2001 by Mohammed Yusuf with the aim of establishing a Sharia government in Borno State. Yusuf established a religious complex that included a mosque and a school for poor families. When the Nigerian government began investigating reports that the group were arming themselves, violence broke out. Several Boko Haram leaders were arrested, an estimated 700 people died in the fighting, and Yusuf was killed while in police custody. Since then, the group has increasingly carried out terrorist attacks. The Christian organization Open Doors www.opendoorsusa.org has identified Nigeria and Sudan as the countries where persecution of Christians increased the most in 2011. Nigeria rose from 23rd to 13th place in Open Doors’s annual World Watch List of persecuting countries. The Evangelical Fellowship of Canada’s Religious Liberty Commission issued a prayer alert for Nigeria on January 31, following up an earlier prayer alert in August 2011. The EFC alert called for prayer that Nigerian Christians will use wisdom in responding to conflict; that those being persecuted will find in Christ the ability to forgive their persecutors; that the Nigerian government will be able to protect its citizens; that other governments and human rights organizations will be able to provide effective assistance; and that there would be peace in Nigeria. The alert also encouraged Canadian Christians to write to Canada’s Minister of Foreign Affairs, John Baird, commending him for a January 21 statement condemning the Boko Haram attacks and urging the Canadian government to do what it can to help improve the situation in Nigeria. The Nigerian government, led by President Goodluck Jonathan, a Christian, has been attempting to suppress the attacks, and some members of the group have been arrested. Some Muslim groups in Nigeria and in the West have criticized Boko Haram, but Christians in Nigeria suggest they have not done enough to stop the violence. Nigeria has been declared by the United Nations to be the most religious country in the world. There is pressure on Nigerians to identify with some religious group, and Boer suggests that some Nigerians have “turned to the church without turning to Christ.” It is these “Christians” who are more likely to retaliate. 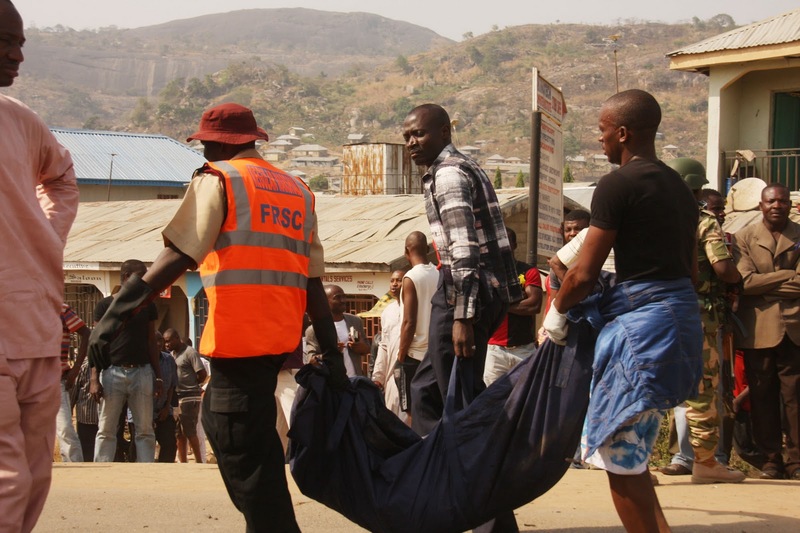 Inter-religious violence has been common in Nigeria for decades. It is commonly understood that northern Nigeria is Muslim and southern Nigeria is Christian, with a sprinkling of followers of animism (African tribal religions). However, Boer says that this understanding is overly simplistic. He offers a more nuanced description: It is true that northern Nigeria is largely Muslim and northern Nigerian states have some form of Sharia (Muslim) law. Central Nigeria is largely Christian. Southeastern Nigeria is also largely Christian but often quite secular in practice. Southwestern Nigeria is about half Muslim and half Christian, and while whole families in the north belong to the same religion, families in southwestern Nigeria often have members in both religions and therefore the area is more tolerant. Boer says it is also incorrect to see the conflict in purely religious terms. He notes that underlying the conflict are tribal rivalries that date back centuries. He also suggests that some politicians are using religious conflict to further their own political ambitions. Another factor, Boer suggests, is that there was an unnoticed minority of animists in northern Nigeria who had never become Muslims. Christians are now evangelizing this group, who are now more willing to challenge the dominance of Sharia law. The Muslim push for dominance is certainly a significant factor in the violence, Boer says, but so is the secular Western push for dominance, which manifests itself as the colonialism the West has practiced for the past few centuries. Attempts to impose Western secular values have angered Muslims, Boer says. He notes that Boko Haram is also attacking Muslims who have become Westernized and is killing more Muslims than Christians. Boer notes that the government of Nigeria is attempting to resolve the problem of religious violence by suppressing religion and turning Nigeria into a secular Westernized society. However, Boer suggests that trying to change the fundamental nature of Nigerian society will be counterproductive. His preferred solution would be for Nigerian Muslims and Christians to work together in mutual respect.